I know that it isn’t technically Christmas yet for we still have a week to go. Despite the last few days being cold and frosty – and very beautiful with bright sunshine and blue skies, I have been surprised at just how many flowers are still blooming away when it is almost the end of the year. 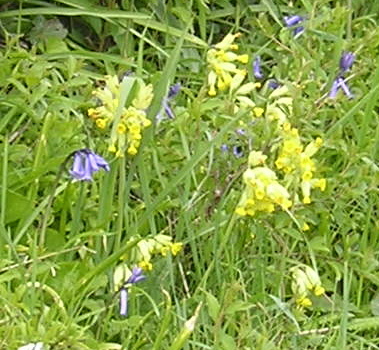 A combination of unseasonably mild weather for most of the time and, of equal importance, very little rain to knock the blooms about has resulted in all sorts of odd floral combinations. Of course, I realised as soon as I started to write this post that I hadn’t bothered to carry my camera around with me so most of the flower photos have been taken at some other time. 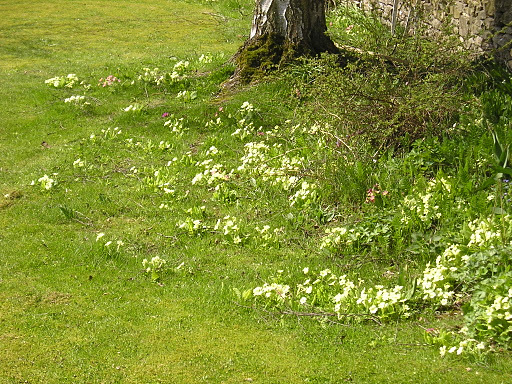 Cowslips and primroses: It’s not especially to see the occasional primrose in flower in the garden but I don’t ever remember seeing cowslips flowering in December in the wild before. It will be a good few months before we see carpets of them like these but seeing the odd two or three reminds me that spring is not so very far away. In the newspapers there have been reports of daffodils in flower too. Forsythia: Another spring bloomer and again just the odd flower rather than branches being smothered in flower. Perhaps not so surprising, as flower arrangers would know – the tight buds that cluster along the bare stems will burst into flower early when brought into the warmth of a house in a similar way to the ‘sticky buds’ of the horse chestnut bursting into leaf indoors. 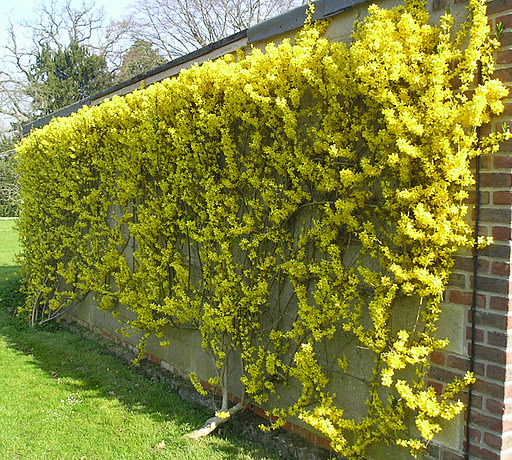 Here, forsythia has been trained as a tightly clipped shrub to screen an ugly garage wall, the warmth and protection of which also makes the flowers open a week or two before normal. Ferns: Some of the shabbier looking ferns had been cut dowm to ground level as part of the autumn tidy. I hadn’t expected them to burst back into growth ….. 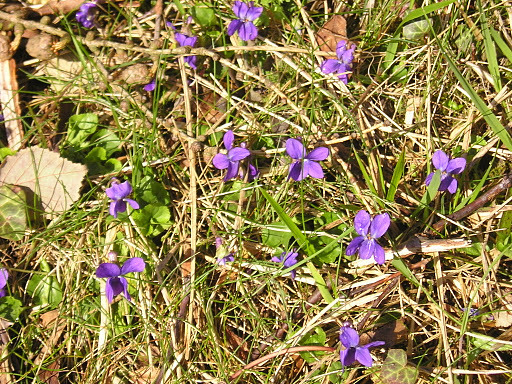 Violets: There have been a lot of violets out, both in the garden and in the hedgebanks of the secret valley. Is it just coincidence that these out-of-season blooms have all been mauve with not a white flowered one in sight? Daisy: There have even been odd wild daisies flowering in the lawn (we have mowed twice this month too). 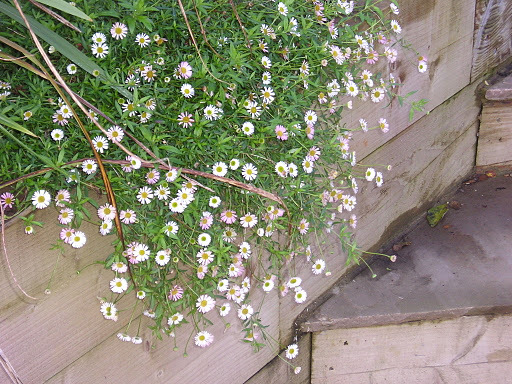 The Erigeron daisy that you see growing in profusion amongst the ruins of ancient Rome has been flowering in our garden as if it was still midsummer; it is smothered in blooms. 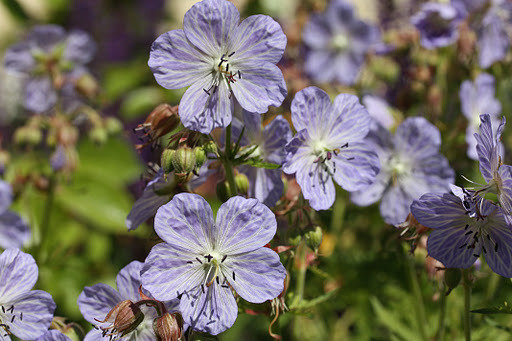 Geraniums: The hardy herbaceous sort. 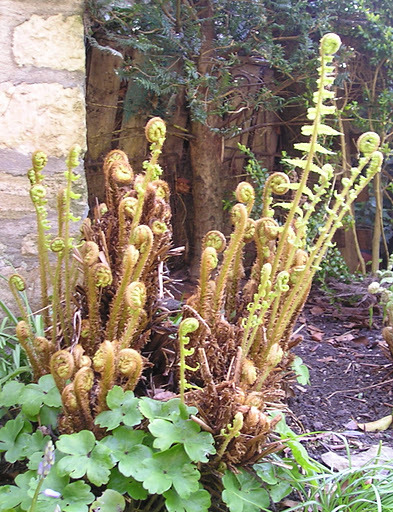 Like the ferns, they had been given the chop some time ago but are coming back into leaf and flower. Some of the hardy salvias are doing the same thing. 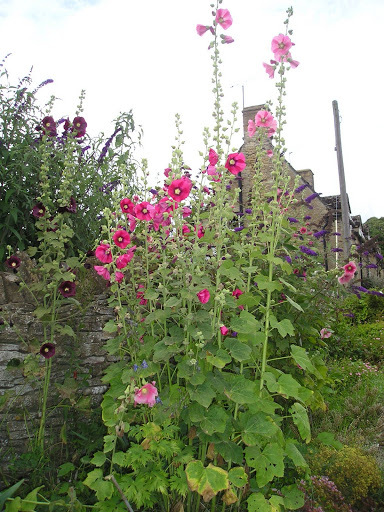 Mallows: I have seen hollyhocks still in flower on my travels around the Cotswolds. 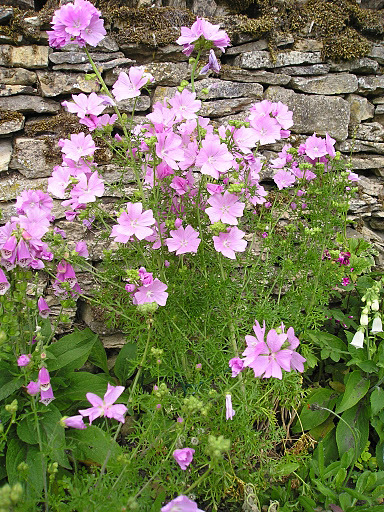 They are majestic when they are grown well but my favourite of all is the musk-mallow, Malva moschata, which is a wild flower that is often brought into gardensl. I grow both the pink and the white versions and they self sow happily in the borders without ever becoming a nuisance. It wouldn’t matter, you couldn’t have too many! Roses: There are nearly always roses out on Christmas Day and we always exclaim how extraordinary a sight it is. They are poor, wet, bedraggled specimens carefully left in place by even the hardest pruners as a reminder of warm summer days. For the most part that is the case this year too. What we don’t expect to find are bushes smothered in beautiful blooms still wafting scent but this is the case in one rose garden I attend. 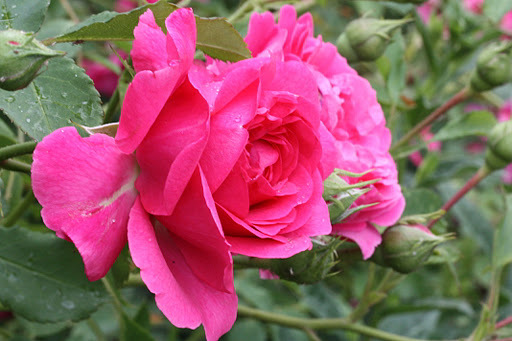 I am uncertain as to the variety but there are three of these amongst forty other bushes – all shrub roses. They really are a joy to see. I can’t believe that this state of affairs will last much longer. 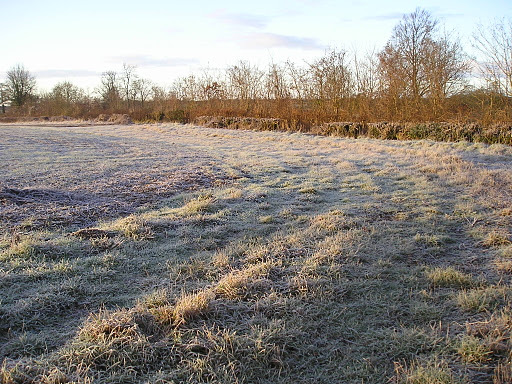 Surely the frost and rain, or even snow, will get them soon. I plan to wait until New Year’s Day and go walking armed with camera, pen and paper and list all that I see. I have intended to do this every year for as long as I can remember but if I manage it this time, I will report back. And, as this will almost certainly be the first of 2012’s resolutions to be broken, perhaps you would do the same and send me the list. How often does a garden plan go awry only to find that you have something equally as good, if not better, instead? 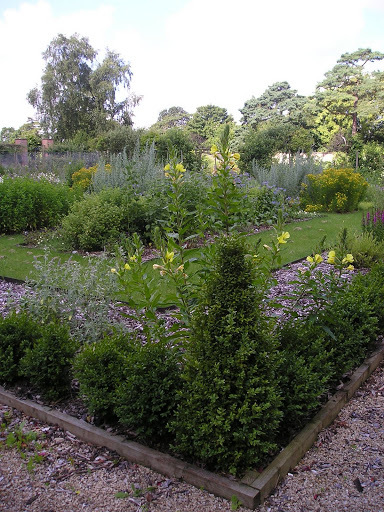 This is what happened to one of my designs, a large area taking up almost one quarter of a walled kitchen garden. 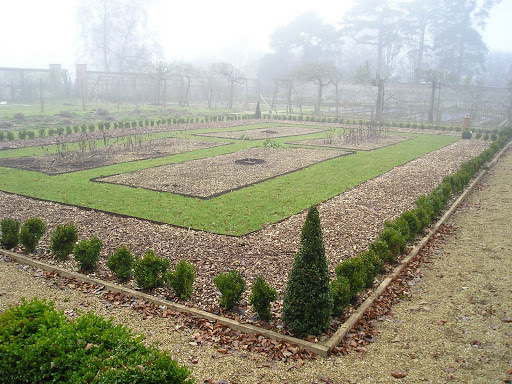 Formal beds, surrounded by box(wood) hedging and topiary, were planted to create what was to be a tisane, or herbal tea, garden. 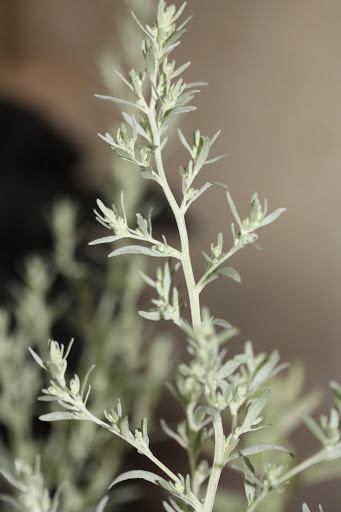 All the plants were supposed to be suitable for making infusions for either medicinal or culinary use. Something went wrong and, for reasons unknown, half the plants either died or refused to flourish. 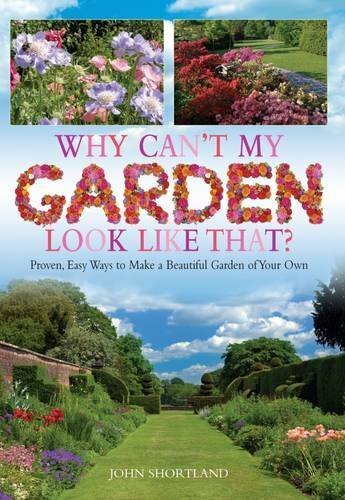 In desperation, we turned it into a cutting garden where flowers could be harvested for arrangements for the big house – actually, the mystery house I used to dream of as a child. 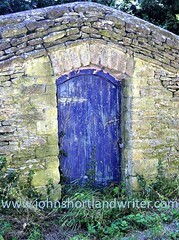 I have written about this house before and the tale of my arriving there two hundred years after I had died…. Concentrating on those plants that survived the initial planting, I decided to see how they would cope with being used as cut flowers and the result was much better than expected. The flowers were cut in the middle of the hottest day of this year so far – not ideal conditions – and then plunged up to their necks in water for the rest of the afternoon. They looked poorly and drooping when first arranged but perked up overnight and now, ten days later, look as fresh as ever. Much of the structure is created with a framework of Artemisia ‘Powis Castle’. I find that to get the best results it is necessary to prune this shrub down to ground level each spring. 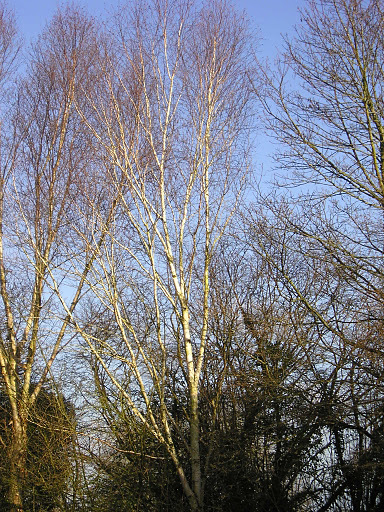 They then produce long wands of stunning silvery foliage. A bitter herb used for all sorts of ailments, I would have to feel very ill before I would consider drinking a tea made from this! 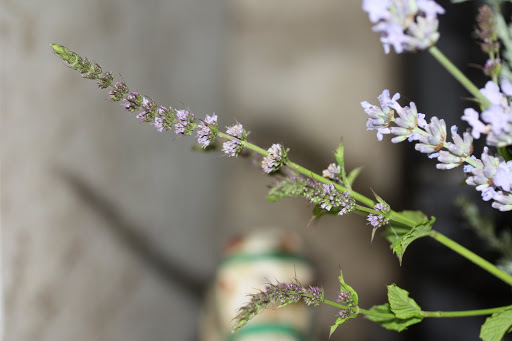 At this point, I should stress, that I am no herbalist so I do not recommend that you try out any of these plants without deciding for yourself whether they will do you good or kill you instead. 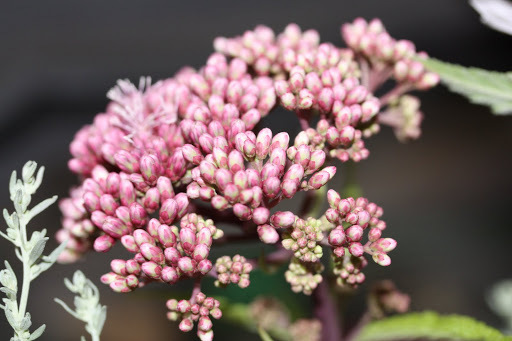 Hemp Agrimony, Eupatorium cannabinum, is a British native plant, normally found growing in damp places but quite happy in the garden border. The Joe Pye of America, it is claimed that it is good for many different ailments but especially good for gout. 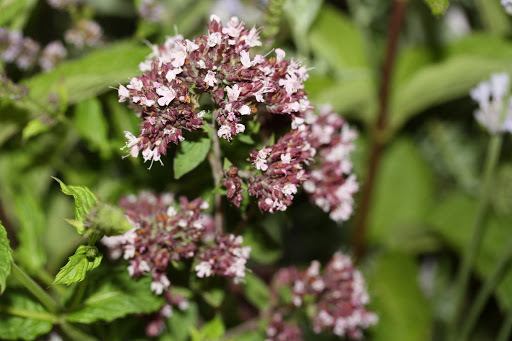 A big surprise, was this Spearmint. In the cutting garden it has grown exceptionally tall (and like all mints, proving rather invasive) with attractive, fine flowers. This is, of course, one that I can safely recommend for use as a culinary herbal tea, very refreshing on a hot summers day and good if you suffer with indigestion. 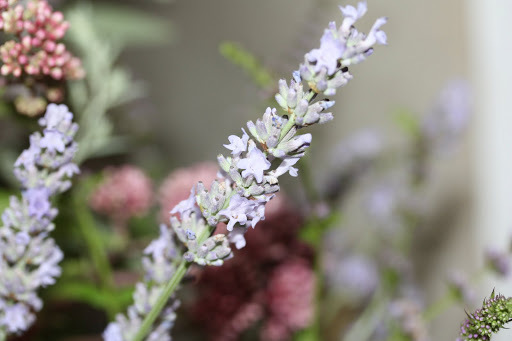 Lavender needs no introduction. Oddly enough, because of soil conditions, I thought they would struggle in this garden. Instead, they have thrived. Marjoram, another common herb that grows wild in England on sunny banks, also needs no description from me. It is our best bee and butterfly plant in the garden, even outrivalling Buddleias. We grow it in huge patches throughout the garden. Leaving the best to last and the biggest surprise of the lot! 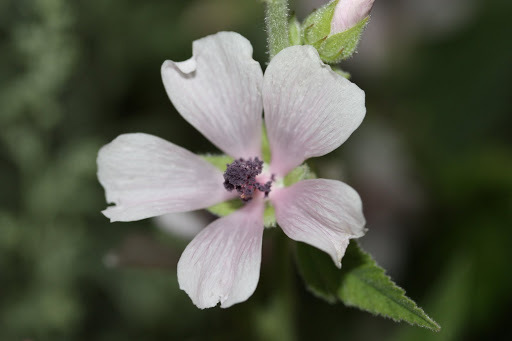 Marsh-mallow, Althaea officinalis, another UK native. This was the first time I had grown it and it is now one of my ‘signature’ plants that I try to incorporate into every design. Related to Hollyhocks but only about half their height and very much more delicate in every way, except one – they are as tough as old boots! 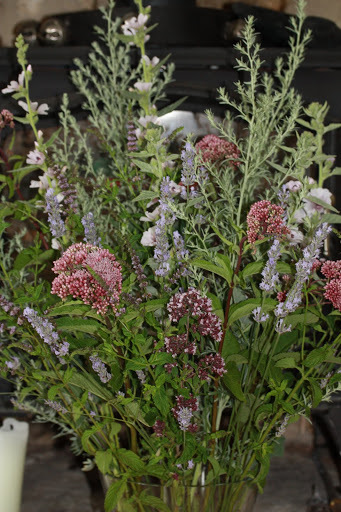 Beautiful, downy, soft-as-velvet leaves and the merest hint of pink flowers, they require no staking, suffer from no pests or diseases and grow year after year, getting ever stronger. And, of course, you can always make marshmallow sweets to eat from their dried, powdered roots. 2oz marsh mallow root, 14oz fine sugar mixed with gum tragacanth and enough orange flower water to bind altogether. Quite what you do after that I have no idea – perhaps just eat them? Speaking to a 5000 year old soldier….. I stopped off in Enstone today, a small village just a few miles north of Blenheim Palace. I wanted to meet the Old Soldier, the name locals give to the largest of the Neolithic stones that were placed here 4000-6000 thousand years ago. 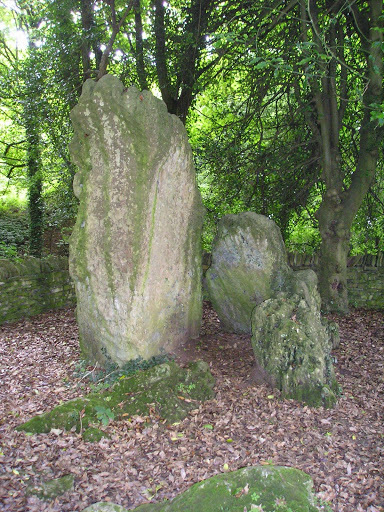 All that remains of the burial chamber are these few stones but they are mighty impressive nevertheless. Hidden amongst trees, it is easy to pass them by even when you know they are close, despite the Old Soldier being 9ft high. Our Cotswold landscape must have looked very different when these stones were placed here – and how did they place them with only manpower available? Of course, this is one of the big mysteries of Stonehenge, the world famous stone circle 2 hours drive away. Whereas Stonehenge gathers hundreds of visitors each day, hardly anyone calls in to pay their respects here and it feels a silent and lonely place. Legend has it that if you cannot find the stones – and sometimes you can’t – the Old Soldier has gone to the village pub to quench his thirst. One assumes in human form which is a scary thought! Old Mont lived just a mile from the stones in Fulwell, a tiny hamlet of no more than a dozen houses. 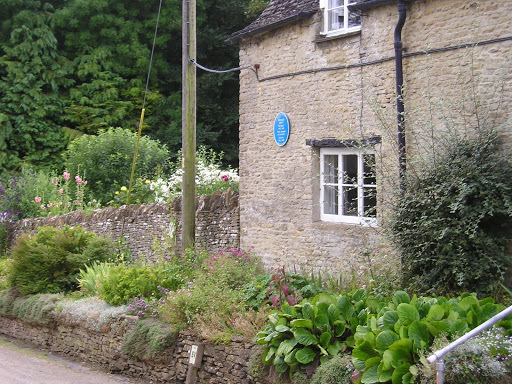 The very end cottage, made out of our local, mellow stone was his house, now marked by a ‘blue’ plaque . The local shepherd has become quite a celebrity since his death some years ago: a story teller persuaded to put his tale into a book [Lifting the Latch] and his few possessions into the Woodstock museum. He would find his own fame far more surprising than meeting the Old Soldier down the pub and the hollyhocks flowering by his garden wall far more impressive!